Adverse drug events impose a large cost on the society in terms of lives and healthcare costs. In this chapter, the authors propose an information technology architecture for enabling the monitoring of adverse drug events in an outpatient setting as a part of the post marketing surveillance program. The proposed system architecture enables the development of a web based drug effectiveness reporting and monitoring system that builds on previous studies demonstrating the feasibility of a system in which community pharmacists identify and report adverse drug events. 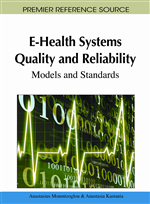 The authors define the key technical requirements of such a monitoring and reporting system, identify the critical factors that influence the successful implementation and use of the system, and propose information technology solutions that satisfy these requirements. Adverse drug reactions have been estimated to result in more than 2.1 million injuries and 100,000 deaths each year in the US alone (Lazarou, Pomeranz & Corey, 1998). The annual economic cost of adverse drug events is estimated to be more than $75 billion (Johnson & Bootman, 1995). Mitigating the impact of adverse drug events requires the implementation of a comprehensive mechanism for monitoring and detecting adverse drug events. Such a mechanism can save lives and reduce healthcare costs. Reliable detection of adverse drug events is a difficult problem. Although some adverse drug reactions are detected during early clinical trials, serious adverse drug effects can still go undetected during this phase due to the practical limitations associated with the size and duration of the clinical trials. Recent examples of such cases include Rofecoxib and Cerivastatin (Fontanarosa, Rennie & DeAngelis, 2004). The FDA monitors for adverse drug events in the post-marketing phase through the MedWatch program (www.fda.gov/MedWatch/report.htm). The MedWatch program, which is mainly a voluntary reporting program, suffers from several limitations, the most critical of which are the under-reporting of adverse events and the lack of a denominator reflecting the magnitude of exposure. In a 1996 article titled “The Clinical Impact of Adverse Event Reporting” the FDA estimated that only 1% of serious adverse drug events are reported to the MedWatch program (Food and Drug Administration [FDA], 1996, p.5). An alternative mechanism for detection of adverse drug events is the use of longitudinal medical records. However, the availability of data from such records has been limited. In addition, the extraction of meaningful conclusions from such data is difficult due to data integrity, heterogeneity, and missing data problems. Several information-technology based solutions have been suggested to help monitor and reduce the adverse drug event problem. Most of the proposed solutions and studies conducted have been limited to inpatients in a hospital setting. Although a major part of drug dispensing and medications takes place in an outpatient setting, there is limited literature concerning the detection of adverse drug events in an outpatient setting. In this paper, our focus is on methods for the detection of adverse drug events in an outpatient setting and in the post marketing phase using a web-based reporting system. Specifically, our focus is developing the IT architecture for enabling a large-scale data collection mechanism to support the detection and quantification of previously unrecognized side effects and drug interactions for drugs, especially those newly introduced into the market. We propose an IT architecture for enabling a web-based reporting and surveillance solution called the Drug Effectiveness Reporting and Monitoring System (DERMS). The DERMS system is based on a community pharmacy based safety network and proposes the participation of community pharmacies for the collection of clinical response and adverse drug event information from patients. We describe the information technology architecture that forms the supporting infrastructure for the surveillance system and discuss the requirements and factors necessary for a successful implementation of the proposed system. This paper is structured as follows. In Section 2, we describe the proposed post marketing effectiveness and safety surveillance program and discuss the limitations of the system in its current form. In Section 3, we review previous literature discussing technological solutions to the adverse event detection problem. We briefly describe the Drug Effectiveness Reporting and Monitoring System and propose the enabling IT architecture in Section 4 and discuss the success factors for its implementation in Section 5. We discuss the limitations of the proposed system in Section 6 and make concluding observations in Section 7.